Home » Buy Additional Beer Tokens Here! Visit our REGISTRATION PAGE. 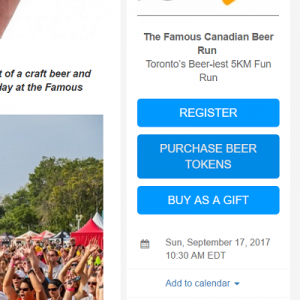 Scroll down and click on the blue “PURCHASE BEER TOKENS” button on the right side of the screen. Enter your details and click “ADD TO ORDER” to select the number of tokens you want. Tokens cost $3 and get you a 4 oz. pour from any of our beer or beverage vendors.